This show broadcasts on January 13, 2016. 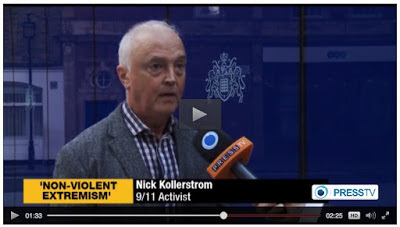 Nick Kollerstrom, a History of Science Ph.D. and author of Terror on the Tube: The London 7/7 Bombings, joins us to discuss his contribution to Another French False Flag? Bloody Tracks from Paris to San Bernardino. Nick’s chapter details the evidence that the 11/13 Paris events were not just a false flag, but an obvious, in-your-face hoax that the perpetrators barely even tried to disguise. Also check out the video he made with former MI-5 agent David Shayler: More Fake Terror Hits Paris? This entry was posted on Tuesday, January 12th, 2016 at 6:01 pm	and is filed under 9/11, Death Squads, Education, False Flag/Fake Terror, Freedom, Justice, Kevin Barrett, News, Protest. You can follow any responses to this entry through the RSS 2.0 feed.